In celebration of the American Empress inaugural season and her itineraries through the heart of Oregon and Washington wine country, the American Queen Steamboat Company announces an innovative wine program featuring over 40 vineyards from across the region. Special tastings, visits to wineries and onboard winemaker lectures are among the program highlights. To kick off the christening voyage and VIP celebration on April 5, Willamette Valley Vineyards has been selected as the first featured vineyard. The Willamette Valley Vineyards 2012 Bernau Block Pinot Noir will be previewed at the April 5 christening dinner and not publically released until May 3, 2014. Additional vintages to be served will be the 2011 Estate Chardonnay and 2013 Riesling. Guests sailing on the American Empress inaugural voyage will receive a bottle of the Willamette Valley Vineyards 2012 Estate Pinot Noir. Willamette Valley Vineyards has been producing high quality, sustainably grown Pinot Noir and other cool-climate varieties since 1983 – earning the distinction as “One of America’s Great Pinot Noir Producers” by Wine Enthusiast Magazine and recognized by Wine & Spirits Magazine as the 2011 Winery of the Year. Willamette Valley Vineyards wines have been served at the White House, the James Beard House, and they are available at some of the finest restaurants and wine shops throughout the world. 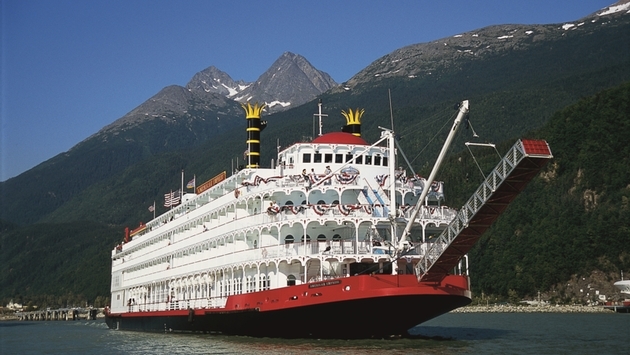 The American Empress' maiden voyage will be a nine-day journey immersing guests in the Columbia and Snake Rivers, departing from Vancouver U.S.A. Featured stops include some of the region’s most celebrated ports including Astoria, Ore.; Stevenson, Wash.; The Dalles, Ore.; Sacajawea State Park, Wash. and finally Clarkston, Wash.
Complimentary shore excursions will be available in every port and include the cultural and historical landmarks that signify the living legacy of the region’s first settlers. Travelers with specific interests are encouraged to enjoy the variety of Premium Experience Excursions such as the Walla Walla Wine Trail or a journey to the volcanic crater of Mount St. Helens. Daily lectures will also be provided by the Riverlorian, an onboard history and culture expert.